Texas A&M Corpus Christi researchers prepare an unmanned aircraft system for testing at a ranch near Sarita, Texas on Jan. 15, 2014. On May 12, a strategic consulting firm called 32 Advisors announced the creation of a drone subsidiary it calls Measure. Rather than build or sell drones, the new company will offer what it calls “Drone as a Service.” Think Rent-a-Drone: Companies that believe they might have use for a drone — but don’t have the money, expertise, or interest to buy, run, and maintain their own drone or drone fleet — would hire Measure to do it for them. We have a lot of manufacturers trying to sell everything to everybody, and as a company we thought, look, there’s a space here to provide both advisory services for companies — let’s say in agriculture or oil and gas — to develop missions, to develop requirements and to develop the best drones they should use for those particular missions. And then to provide a "Drone as a Service" platform, a turnkey solution. 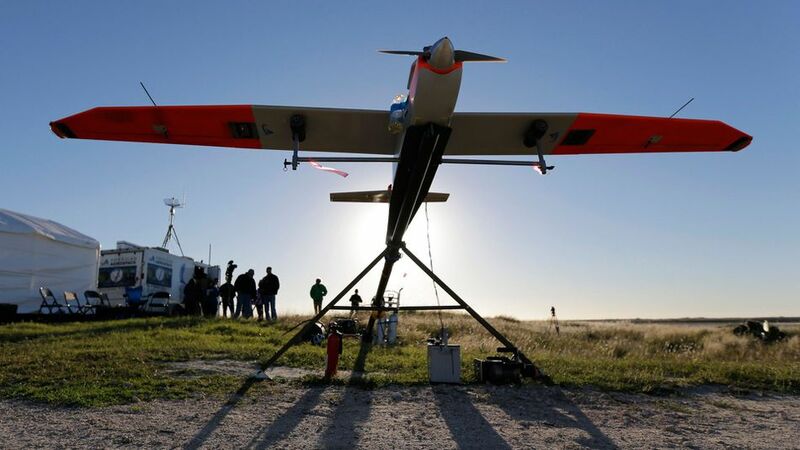 So if an oil and gas company tells us, "Look, we have to fly our pipeline every two weeks," we’ll provide the drone, the operator, the sensor or other payload, and fly it for them. At a time when drones are getting cheaper and widely available, why not just buy one’s own? The answer, says Declet, is that while a quadcopter bought from Amazon is fine for a hobbyist, patrolling hundred of miles of pipeline or monitoring an industrial-scale farm from above requires larger, more expensive, harder-to-fly aircraft able to stay aloft much longer and fly much farther. That’s the sort of craft that currently patrols the skies of Yemen and Pakistan looking for and killing terrorists. Measure is quick to say that it will not offer its services for military uses. In addition to agriculture and oil and gas, Declet believes there will be demand in search-and-rescue operations, the protection of endangered wildlife, police investigations, real estate photography, and so forth. He mentions shipping, an idea Jeff Bezos famously floated. The company doesn’t yet have clients, though it is talking with a few potential ones, Declet says. For the time being, Measure cannot operate in the U.S. — the FAA is still formulating rules and regulations for commercial drone use and is scheduled to release them by 2015. Meanwhile, if anyone tries to appropriate the phrase “Drone as a Service,” Measure will not hesitate, says Declet, to take legal action.